Discussions in forming a global network of public health nurses began in 2009 in Oslo at the first International Public Health Nurse conference. Prior to the 3rd International Conference held in Galway in 2013 there had been five further meetings, in Durban, Minnesota, Malta, Japan and Melbourne, where the need for such an alliance was discussed. Three of these meetings were held under the auspices of the International Council of Nursing. 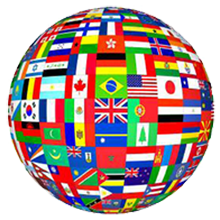 The International Council of Nursing (ICN) whilst recognising the need for such a network has indicated that they are unable at the present to support its development. The Institute of Community Health Nursing, (ICHN) Dublin thus agreed to take the lead in development of the foundations required to form such a network. 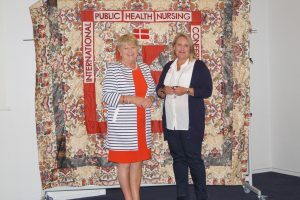 The Gathering Quilt was commissioned by the ICHN to provide an everlasting symbol for a united international community of Public Health Nursing. The quilt is to be displayed at each gathering reminding nurses that together we can make a difference. 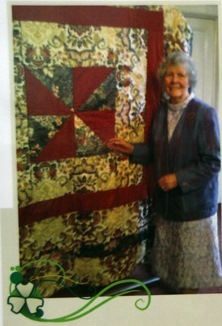 The quilt was designed and crafted by Maureen McDonald in Dublin in 2013. The Logo was developed from The Gathering Quilt.